Looking online, there seems to be people writing blog about Chalchiuhnenetzin. The articles are laughable, but I'll focus on one. Though the writer says she is mentioned in many written accounts, the person can't name one source. The rest seems like a copy and paste job because I did a simple Google search and it looks like many people copied and pasted the same story so no originality. The story about Chalchiuhnenetzin was originally written by ixtlilxochitl. Though there's another Chalchiuhnenetzin (the one who married Moquihuixtli, but isn't the one written in the article), this one, I believe, is make believe to demonstrate that nezahualpilli is fair since ixtlilxochitl is a descendant of his. I personally think the story could be fictional since nezahualpilli is an ancestor to ixtlilxochitl and he was trying to demonstrate how fair and just he was. A lot of greatness stories of nezahualpilli and nezahualcoyotl come from him. "The Heart of Jade" by Salvador de Madariaga in 1942 then a character in Gary Jennings' Aztec in 1980 (oddly, both writers made a series on "Aztecs" and Mexico, both dying before completed. ); both overexerting the account. On April 21 & 22nd, CSULA had a Meso-American symposium in homage to Eduardo Matos Moctezuma. It has been over 2 years since the previous event. Ximena Chavez had an interesting presentation. You can tell she practiced to get what she needed to bring across in 30 minutes. 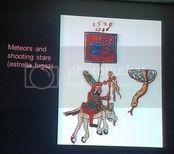 Her presentation was showing evidence of sacrifice animal and human along with doing a breakdown of sacrifice especially in the great temple in Tenochtitlan. In Aztec image depiction, it’s typical to show human sacrifice. Animal depictions are rare. Explaining that it was a Religion act. At times having to figure it was Funeral vs sacrifice.She brought that sacrifice was over exaggerated though distinguished the different types for example Heart extraction and Arrow shooting Both for human and animals. Many were dead before being buried. 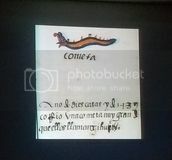 Karl Taube was next in the presentation, but this was interesting, but he jumped too much into conclusions.He claimed the Xiuhcoatl was not serpent, but is actually bug; Perhaps caterpillar (I personally think it's actually a firefly. Friends with me thought otherwise). Its origin is around 900-1250 early preclassic. It started in tula on the Back of shield in giant Toltec figurine statues. He tried to convince the audience with other things, but one was a cave and another was a jaguar. Manuel Aguilar-Moreno has a presentation on something we least think about. It was about the Tochtepec and them building the balls. Codex Mendoza shows a simple picture of balls of tribute. Since they did tribute to Tenochtitlan, they spent much of their time just making balls. In present time, the only players are the Yoreme (Mayo): 30 only play ulama in sinaloa. Since it was hard to make rubber balls for the game, it was slowly becoming a dying game. Archaeologist helped make an affordable ball for the game to continue. Since tourist want to see the ball, many Yoreme were taken to the Yucatan. They intermarried with the Maya and many of them are playing the game. Barbara Mundy went with amate paper from basic info to ideas that I didn’t think about. Amatl is paper made of Fig, maguey and/or aloe plant.Otomi made paper figures. That the figurines depicted were not spirits but Totoitzin. Festival Ochpaniztli paper and human skin costume describing the removing of bark of a tree was similar to removing the skin. Xipehua meaning bark removing. Teixiptla skin removing. One thing she did point out is you must separate western thought to understand indigenous style. Drawing concept that align with pyramid of the sun and the sun equals time. Time changes adding biblical stories into Mesoamerican concept. Even though the older stuff was destroyed, new concepts were added into the old structure. While someone was telling him his time was up, he continued talking, ignoring the person’s flailing arms. David Carrasco was sick but sent a video. Even though the footage was filmed in Harvard, audio was low, but it was about encountering Eduardo and working together. 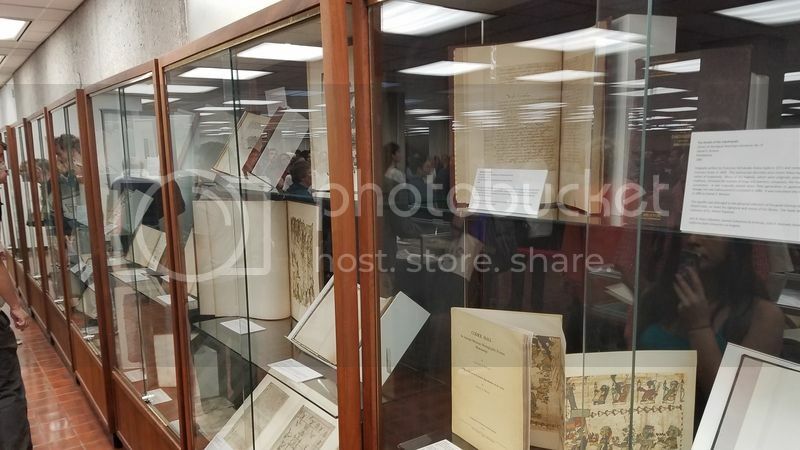 Afterwards, they had the opening of the book exhibit. 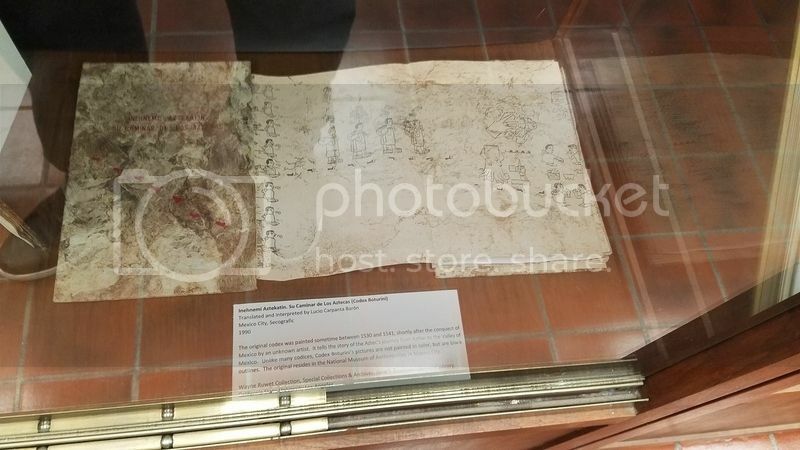 It was an exhibit of many copies of codices. It was nice to see all the books, but sadly, there was no way to touch them and explore their many pages. Here is some footage of what was happening before the event on that Saturday. It's in 360 and you can see all angles of the video. In lak'ech / hala ken is a greeting coined by Domingo Martínez Paredes in 1964, in his book Hunab Ku: synthesis of Mayan philosophical thought, representing the Hunab Ku with a square inside a circle or a circle inside a square. He also linked the Hunab Ku with the Mayan expression "In lak'ech" (claiming that it means I am another you) which would get the replied "Hala Ken" (claiming that it means You are another me). This is "greeting" has nothing to do with the Mayan people, since in every community (whether in Mexico, Guatemala, Honduras, Belize or El Salvador) there is a different way of greeting, and most greetings express something about the soul, the heart or the being. ¿Ma sa sa’ lach’ool laa’at? ¿Nik wach suq na ak’ux? Each Maya language has its own characteristics that make it unique, although they share the same root. Just to summarize, the "greeting" "In Lak Etch" does not appear in any text, book, stela or manuscript with Latin characters nor is it used by contemporary Mayan speakers. Nican Tlaca. What more can I say? When someone claims they are that, I stay silent and try my best to not laugh especially on things that are going to be said afterwards. Someone who claims Nican tlaca might as well say "I am ignorant and can't speak Nahuatl" since it's grammatically incorrect along with native Nahuatl speakers won't understand what they're saying. 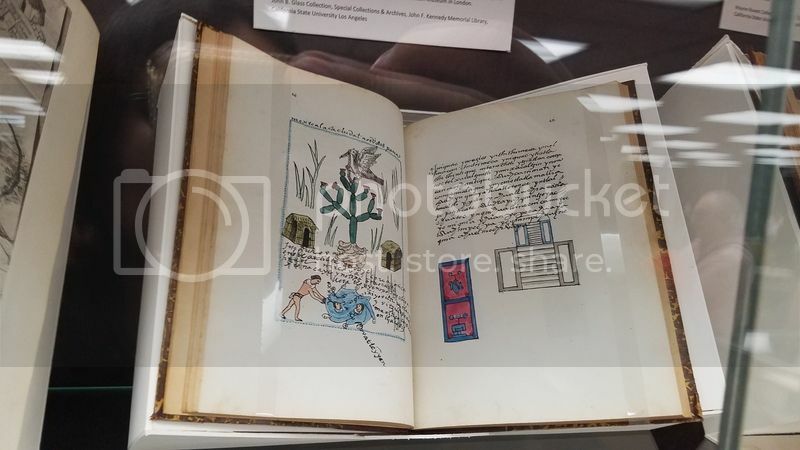 As for its origin, if looking in florentine codex or in the huejotzingo letter, it does not mean what people who push the nican tlaca term means. There's tons of terms that Nahuas back then and contemporary nahuas use. None is nican tlaca. It's incomplete. Nican tlaca just means person (and depending on dialect, just man) here. If people who really wanted to use as we the people here, it would be "nican titlacah" which is shown in the Florentine Codex, Annals of His Time and huejotzingo letter. If you were to say nican tlaca to a native speaker, they will look at you hoping you'll add more to it. Nican tlaca is grammatically correct, but it just doesn't mean what people claim it means. It means "the people here". Saying "I am nican tlaca" or "we are nican tlaca" is grammatically incorrect and meaningless from the point of view of the Nahuatl language. What they lack is proper understanding of Nahuatl grammar. If they want to use an indigenous word to describe themselves, they should have enough respect for the language to learn the grammar. James Lockhart, a white guy, introduced the term in his book "we people here" based on Nican Tlaca to put together a group of people as an ethnic label. Also, in the other books in the Florentine Codex, they're very specific on groups and regions when speaking of regions. I haven't seen any variant of "nican tlaca" in those other 11 books unless I missed one and you have. People of Mexico leaving from here were taken over by it to go as far as Tetzcoco. Letter of Huexotzinco is only referring people of Huexotzinco and not the entire people as an identity. People use "nican tlacah" as if it were an english word. But Nahuatl doesn't work that way. I'm OK with Chicanos using Nican tlaca as a label for themselves. It's when they use it by claiming it's a label nahuas (from colonial times or contemporary) used, act like it's grammatically correct or it means all indigenous people is where I have the issue. Mexican history is mixed with truth, legends and myths. To try to separate the two is nearly impossible at times, but easy in this case. Many hear the story of the two lovers. If you were to ask people to tell you, they go into great detail with the story. It sounds too much like romeo & Juliet. What if I told you that story is modern invention from a Spaniard and the original stories to those two mountains are different along with evidence of these mountains in codices? The names Iztaccihuatl (White Woman) & Popocatepetl (Smoking Mountain) is what most people know right about the mountains even though these deities were worshiped (along with the other mountains) long before the arrival of the Spanish and which having pilgrimages even today. Legends have that they can appear in human form. Popocatepetl is known as "Don Goyo" and Iztaccihuatl as "Rosita" to Nahuas from the Santiago Xalitzintla community and which many contemporary Nahuas give offerings and blessing to this day. The oldest depiction that is known is an image from the Codex Zouche-Nuttall on folio 11 which sadly is overlooked. Don’t forget that Nahuas from Morelos have a legend about them which is called Yeyi Secuistli or in English as ‘3 Volcanoes’ as told by Nahuatl speaker Martin Mendez Huaxcuatitla from Tetelcingo, Morelos and recorded by Richard Pittman. It’s a story that involves Iztaccihuatl and Popocatepetl with a third party member called Secuistli Keckotoktik (headless volcano. Known as Nevado de Toluca) in which Popocatepetl and Secuistli Keckotoktik fight. In the Codice Matritense de la Real Academia, those Nahuas who were able to write decided to write an important passage about good elders (please note, Nahuatl pronouns are gender neutral so I will keep it as the translation as much as possible. Words that could be open to interpretation will have their Nahuatl word next to them.). A perforated mirror, a mirror pierced on both sides (tezcatl necuc xapo). His/Her are the black and red ink, his/her are the illustrated manuscripts, he/she studies the illustrated manuscripts. He/she himself/herself is writing and wisdom. He/She is the path, the true way for others. He/She directs people and things; he/she is a guide in human affairs. The wise people/man is careful and preserves tradition. His/Her is the handed-down wisdom; he/she teaches it; he/she follows the path of truth. Teacher of the truth, he/she never ceases to admonish. He/She makes wise the countenances of others; to them he/she gives a face; he/she leads them to develop it / teixtlamachtiani, teixcuitiani, teixtomani. He/She opens their ears; he/she enlightens them. He/She is the teacher of guides; he/She shows them their path. He/She puts a mirror before others (tetezcaviani); he/she makes them prudent, cautious; he/she causes a face to appear in them. He/She attends to things; he/she regulates their path, he/she arranges and commands. He/she applies his/her light to the world. He/She knows what is above us and in the region of the dead. He/She is a serious person/man. Everyone is comforted by him/her, corrected, taught. Thanks to him/her people humanize their will and receive a strict education / Itech netlacaneco. He/She comforts the heart, he/she comforts the people, he/she helps, gives remedies, heals everyone. The false wise people/man, like an ignorant physician, a person/man without understanding, claims to know about God. He/She has his/her own traditions and keeps them secretly. He/She is a boaster, vanity is his/her. He/She makes things complicated; he/she brags and exaggerates. He/she is a river, a rocky hill. A lover of darkness and corners, a mysterious wizard, a magician, a witch doctor, a public thief, he/she takes things. He/she leads the people astray; he/she causes others to lose their faces. He/she hides things, he/she makes them difficult. He/she entangles them with difficulties; he/she destroys them; he/she causes the people to perish; he/she mysteriously puts an end to everything (tlanahualpoloa). Excerpt from Looking for Tiahui that was presented at the Nahuatl Conference at UCSD on April 4th, 2015. While being in my teens, I heard many people used “Mexica Tiahui”. I wondered who taught it because no one said any of the danza groups that influenced the Chicano movement. I couldn’t find them in the dictionary. My curiosity and interest of where it came from almost became an obsession on knowing the answer. I would ask and people would say they got it from someone from Southern California that they learned the phrase from. Eventually, I would move to Southern California. Other than education, it was also a step closer to finding an answer to my question. I met Lupe Lopez and she finally gave me a better response than the typical answer of getting it from someone else. I met David Vazquez. After asking questions, I would later discover that there is a part of history that people seem to leave out though it’s recent history. I spent a long time trying to find out the origin of where everyone got Mexica Tiahui and Tlazokamatli and going person to person until I met David Vazquez who is a native Nahuatl speaker who taught those popular phrases to Chicanos. Oddly, the two phrases have been corrupted especially since Mexica Tiahui should be either "Tiahue Mexica" (Mexica let's go) or "Tayecana Mexica" (Mexica Forward). Tlazokamatli is saying thanks to someone who isn’t there. Tazocamatic is giving a direct thanks. On where “Tiahui” was introduced to Chicanos and spreaded everywhere, based on the story David Vasquez gave me, he was teaching a group of Chicanos, some being in danza circles which were learning and asking him question. One person (he doesn’t quite remember who) was trying to have an empowering phrase in Nahuatl. It was suppose to be Tayecana Mexica & Tiahue Mexica, but it seems whoever was at the meeting, someone mixed the interpretation along with grammatically how to say it and thus caused confusion among the masses from that point on. This is from a fluent Nahuatl native man. And I/we have spoken to a few other fluent Nahuatl speakers who do use the term or heard of it, or used Teyecana. Therefore we are native students learning from native speakers to has a stronger and closer connection to where we get our information from. A good example on how to use tiahue would be “Tiahue cuitihue in tlacual” (translates to “Let’s get some food”). Also on that link, they mention the song Tiahue intekitzintli (translation means “(We) Let’s get to work”) from a Nahuatl speaking community of San Isidro Buensuceso. As the world gets connected with itself misinformation can easily be spread. A good example would be the articles on the Maya temple (My mom hates when I call them pyramids) in Tonina, Chiapas. It's a pre-Columbian Maya archaeological site with has a beautiful scenery. What it caused was a storm of articles in July which spread like crazy. No one seemed to confirm it. INAH hasn’t posted anything on their website nor on their youtube channel on this claim. Neither has ENAH. Not saying that the story is a lie, but no legit sources have verified the claim. I would recommend people to please do their research and verify their sources. Yes, Tonina site is quite beautiful. It doesn’t need lies to be in the conscious mind of people. From the architectural survey using a laser scanner on the Franciscan church of San Bernardino of Siena in Xochimilco, dating from the 16th century, specialists fromINAH generated a methodology confirmed the hypothesis that the building built over a teocalli (temple) kept the prehispanic alignment to the Iztaccihuatl volcano. The work led to a spot measurement of the alignment, which supports the hypothesis that the sixteenth century Catholic churches were built on ancient ceremonial buildings of the main peoples of Mesoamerica, facing the most prominent mountains aligning with the sun. With this research, reported by historian and archaeologist Araceli Peralta Flores of the National Coordination of Historical Monuments of INAH, determined the exact time when the sun is at the top of Iztaccihuatl and allows archaeoastronomical alignment on February 24th at 7:24 with 48 seconds. This alignment also passes near the archaeological site IZ-01 (El Pecho), located in the vicinity of the volcano and was recorded by investigator Arturo Montero. Araceli Peralta noted that among the first measurements that have been made include the archaeologist Ivan Sprajc, who notes that the sun rises behind the Iztaccihuatl, whose name means "white woman". There are also records from researcher Rafael Zimbrón who has studied numerous archaeoastronomical alignments in Xochimilco and Milpa Alta. Archaeologist referred to another alignment found by Zimbrón, corresponding to the Xaltocan mariano church, also built on a teocalli, and located in one of the Xochimilco neighborhoods originating in the volcano Popocatepetl, whose name means "smoking mountain". The phenomenon occurs on December 21 at 7:34 AM. The sun illuminates part of the temple, where a built prehispanic relief shaped dog's head that works as a solar marker during the winter solstice, and the alignment passes near the archaeological site registered by Montero as PO-02 (Nexpayantla), close to the colossus. The researcher, who has studied the natural, archaeological, architectural and intangible heritage (traditions, festivals and legends) of Xochimilco, said that knowledge of these ritual dates, referring to the sun for some mountain peak, were indispensable to the ancient inhabitants of Mesoamerica to establish their agricultural and ritual cycles. The intent of this project, said Araceli Peralta, conducted with funding from the National Science and Technology, was doing the architectural survey with technology in a historical and archaeological context. He said the use of laser scanner was a great help since they are high-precision, non-invasive, that significantly reduces the time for recording information in a very detailed and accurate manner, and generates a point cloud that allows to build a dimensional model of the scanned surface. He further explained that with this information can do a structural analysis of the building, which can have many use, and can help with any future restoration project. The work of architectural survey was conducted earlier this year, in collaboration with the architects Maria Fernanda Lopez, Celedonio Rodriguez, Franco Duran, Apollo Ibarra and surveyor Jorge Alcala & graphic designer Angel Mora Flores. The results of the survey and analysis were embodied by Apollo Ibarra, with the advice of geographer Sergio Carrasco. A recording circulating on YouTube reveals a telephone conversation in which the president of INE, Lorenzo Cordova, mocks the indigenous way of speaking that he had a meeting with. Cordova tells the executive secretary, Edmundo Jacobo Molina, who spoke with a group of indigenous who were against the election. The INE president focuses on the way in which one of those who attended the meeting.